Had it been possible to choose between being born in a rich family or a poor family, no one would have made a choice for the latter. However, the reality is entirely different with a large number of poor people residing in our country as citizens. While efforts are being made on a large scale to address this issue, there is still a lot of work to be done in helping poor. Social help care is something that has been gaining a lot of ground with programs that are aimed at helping the poor and the needy by lifting their present standard of living. Different and proficient NGOs are coming up with a positive intent to help the less privileged or the backward areas of the society. That Impact makes Social help a force to reckon with! While the actual impact never reaches our ears in full, it is clear that social help care is carving out its own need within the social structure with its steady progress and accomplishments. Donation camps, awareness programs, educating the poor children are just some of the initiatives that enjoy a huge popularity among the many organisations for contributing to the society by helping poor in any way possible. While there are a number of contributions that have collectively made a mark, the biggest contribution to humanity will always be the existence of social help care itself. Had it not been for social help care, it would have been very difficult to attend to the issue of poverty within the society. And poverty leads to many other perils for the lives of the less fortunate. This is where social help has made a huge mark. Food – The most basic necessity to live. The needy resort to begging so that they could get a decent square meal in the day. 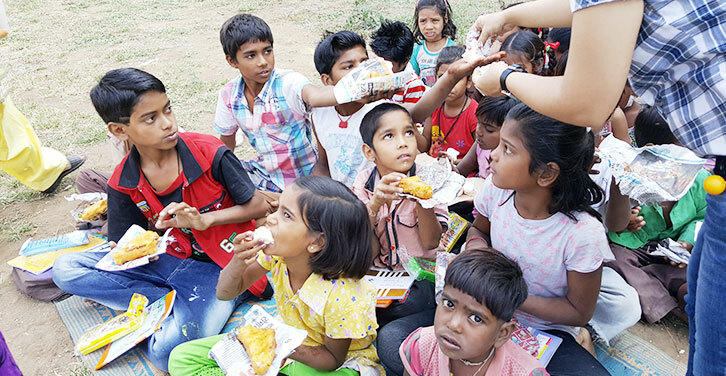 Many social help organisations have made an effort to feed the poor with two meals a day so that their families do no go to sleep on a hungry stomach. Shelter – It is not long ago when footpaths at night were lined up with the poor sleeping, spending their nights out there without a roof on their heads. These people on the streets are reducing in number gradually due to the efforts of many organisations that only resort to arranging shelter for the less fortunate. Jobs – There will always be people who try to take advantage of the situation of the needy, by making them toil hard at labour work and then paying them wages much lower as per the mandate of the government. Social help programmes make sure that these wage workers get their daily wage as per norms of the administration. With food, shelter and wages being three of the most important requirements for sustenance, social help care has been nothing short of a boon for the needy, as well as the society. With moral duties to fulfil, it has contributed to the entire humanity very positively, thereby signalling the positive things to come.